Ulster is the most northerly of the four provinces of Ireland. It is divided into nine counties - Antrim, Armagh, Cavan, Donegal, Down, Fermanagh, Londonderry, Monaghan and Tyrone. Today, six of those counties are in Northern Ireland and the remaining three (Cavan, Donegal and Monaghan) in the Republic of Ireland. 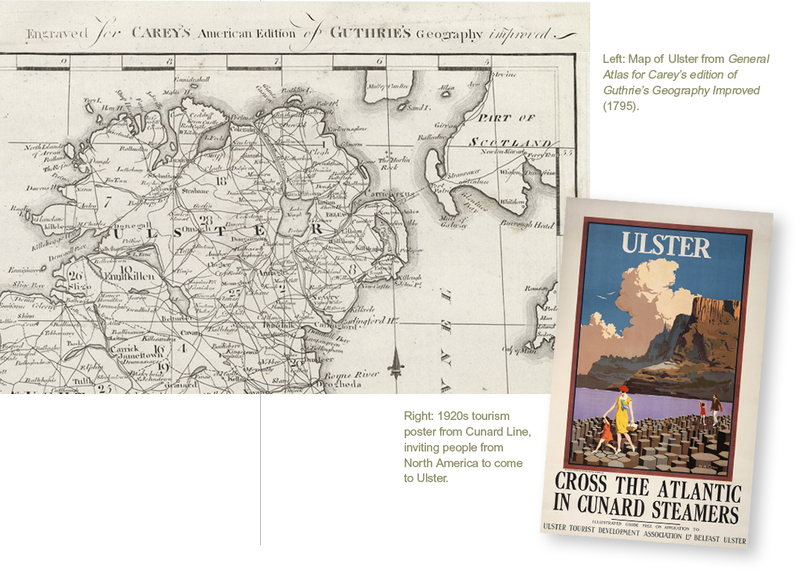 Throughout its history, Ulster has been a place where many different peoples have left their influence. In the last millennium Vikings, Anglo-Normans, Huguenots, Moravians, Italians, Jews and many others have settled here. The strongest cultural influences, however, have been English, Irish and Scottish, a triple blend that has given Ulster its distinctive character and marks it out as different from the rest of Ireland. Over the centuries Ulster has produced some remarkable individuals who have made their on the world stage. They include the writer CS Lewis, the inventor Harry Ferguson, the scientist William Thomson (Lord Kelvin) and the philosopher Francis Hutcheson. Emigrants from Ulster and their descendants have played a major role in shaping the United States, Canada, Australia and New Zealand. Nearly half of the Presidents of the United States of America have roots in Ulster, including Andrew Jackson who was born just over a year after his parents arrived in the New World.